David focuses on understanding and responding to the specific needs of each client. He considers communication to be central to his job as an attorney. When a client picks up the phone to talk to him, he is always ready to help. David has been involved in complex commercial litigation and securities arbitration in New York state and federal courts since 1993. 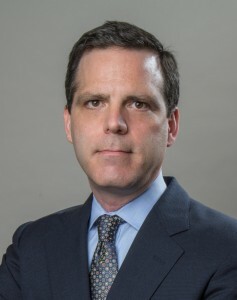 He has written articles for the New York Law Journal and the New York Enterprise Report. He has studied thousands of legal opinions, written countless briefs, and argued before numerous judges and tribunals. He also knows his way around the courthouses, and the practical nuts and bolts of filing cases and moving them to conclusion. David’s clients have included commercial real estate investors pursuing damages for fraud and breach of fiduciary duty; securities traders who successfully arbitrated to recover millions from their former trading firm; entertainment industry executives and bankers seeking representation with respect to employment and termination contracts and compensation; fashion industry executives and designers; a real estate developer accused of infringing an architect’s copyright; a manufacturer wrongfully accused of sexual harassment in a case involving forged documents; an art gallery owner splitting with his former partner and negotiating a lease for new gallery space; chain stores involved in landlord-tenant disputes and lawsuits over broker’s commissions; co-op and condo owners involved in disputes over building repairs; commercial tenants involved in construction-industry arbitration and litigation; and national not-for-profit corporations involved in the visual arts. This broad client base gives David an expansive perspective on problem solving, and allows him to find creative and cost-effective solutions to many problems. Education: St John’s College; Brooklyn Law School. Membership: Federal Bar Council; New York State Bar Association, Entertainment, Arts and Sports Law Section, Employment Law Section; New York City Bar Association. Admitted: 1993, New York; 1999, U.S. District Court, Southern and Eastern Districts of New York.